Wow! 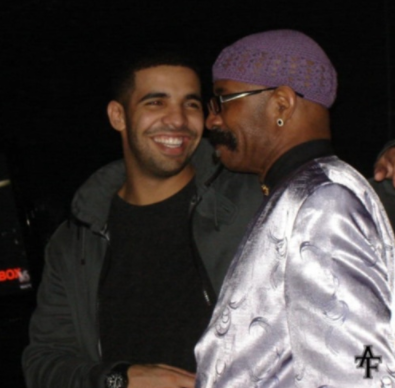 Drake's DAD Reveals What James Brown DID FOR HIM That He'll NEVER Forget! Wow! 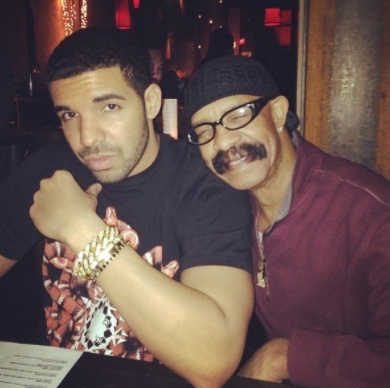 Drake’s DAD Reveals What James Brown DID FOR HIM That He’ll NEVER Forget! We all know Drake as the rap star that he is, and by default, many of us may now know his Pops, Dennis Graham, the old school cat with a lotta swag, big personality, and Instagram followers galore- young and old…mostly young though. What we may not know about Dennis Graham is that he is the reason Drake is a music artist, because it was him who aspired to be one first. Via Memphis Flyer: [Dennis] Graham has emerged from the shadows before — as a young boy playing music on the streets of Memphis. His cousin played the cardboard box. He played an overturned metal tub. Girls would dress up in their majorette uniforms and parade down the street with them, ribbons and everything. One day they were playing on Union Avenue, downtown. […] Graham and his cousin sat on the street, beating on a cardboard box and a metal tub like they always did. But Graham stopped banging his drumstick — a broken mop handle — when he heard someone yell at him from above. “Hey!” the voice beckoned. “Come here.” It came from a man on a hotel balcony across the street. Graham walked over. It was James Brown. The famous soul singer called his drummer out to the balcony and made him give young Dennis his four-piece drum set. It was Graham’s first set of drums. Graham went on to play drums professionally for Jerry Lee Lewis’ band. He also became a regular at Royal Studios, where Al Green recorded in the 1970s. 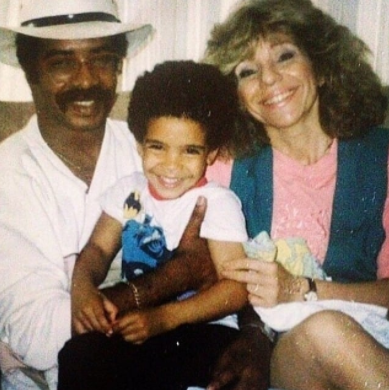 Via Memphis Flyer: When Drake was a little boy, he bet $5 he’d do more television and more music than his daddy ever did. He was right, and when he came to Memphis for a show, a proud father gave his millionaire son $5. Nowadays Dennis is still a jazz/blues artist. He may be an O’ld school playa from the Himalayas’ like Jeromey-Rome used to say, but his young fans can’t get enough of him as an Instagram celebrity, who hangs out with cats of all ages, including his son. Even young groupies flock to Dennis for a piece of Drake’s daddy. Sidenote: Dennis is in a committed relationship now though, so he’s toned down with the groupies on social media lately. But overall, life is good for the Memphis, TN brotha, with the Canadian bred superstar son.